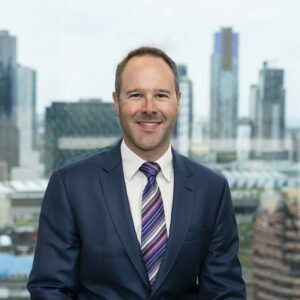 Michel started his career at Deloitte before joining the Bollore Group where he held various senior finance positions in the transport and logistics division in the UK, Australia and New Zealand. In 2005 he joined Keolis as head of Finance and Operations for the International Division where he was responsible for leading public transport operations in seven countries and held various non-executive director positions in UK and German rail franchises. Michel was appointed CEO of Yarra Trams in 2009 and helped lead the development of Keolis Downer throughout Australia, before joining the Calibre group in 2014 to create and lead its Transport Infrastructure business. Michel is a graduate from the EDHEC Business School in France, and the Australian Institute of Company Directors. He also completed the Advanced Management Program from the Harvard Business School. In 2017, Michel was awarded an Honourary Doctorate in Technology from Swinburne University in recognition of his contribution to shaping infrastructure in Victoria. Michel became an Australian citizen in 2014. 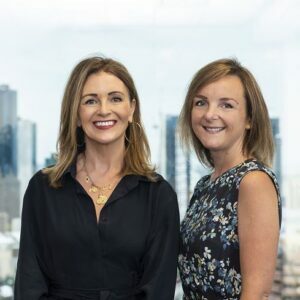 Julie Browning and Jo Davie job-share the Communications and Engagement Director role, leading all of Infrastructure Victoria’s communications and engagement functions. 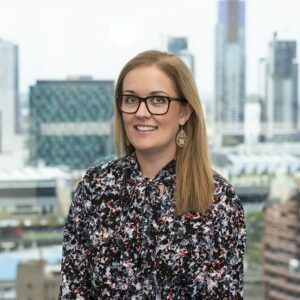 Julie has extensive experience in government, corporate and not-for-profit organisations and has held senior media, community engagement and communications positions at the City of Melbourne, Melbourne Biomedical Precinct and the Royal Children’s Hospital. Jo was a journalist before moving into government communications, where she has gained experience in departments and agencies in Australia and the UK. She worked extensively in the transport portfolio, as well as education and environment, before joining Infrastructure Victoria in 2015. Catherine Rooney leads Infrastructure Victoria’s research program and the update of the 30-year strategy. Prior to joining Infrastructure Victoria in May 2017, Catherine was Executive Director, System Reform at the Department of Economic Development, Transport, Jobs and Resources and before that spent a number of years as Assistant Director at the Department of Treasury and Finance. In addition to her public sector experience, Catherine spent a decade working for The Allen Consulting Group and Deloitte on a range of infrastructure, energy, and social policy issues. Dr. Jonathan Spear is Executive Director & General Counsel at Infrastructure Victoria. 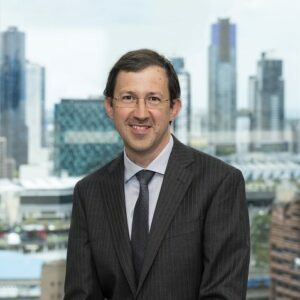 He leads Infrastructure Victoria’s work on providing independent advice to the Victorian Government on complex issues such as securing Victoria’s ports capacity and identifying the infrastructure required to enable automated and electric vehicles. In addition, Jonathan is responsible for Infrastructure Victoria’s corporate and project management functions. Before joining Infrastructure Victoria, Jonathan held senior leadership, policy, strategy and legal roles with the Department of Premier & Cabinet, Department of Justice, Victoria Police and Slater & Gordon Lawyers.